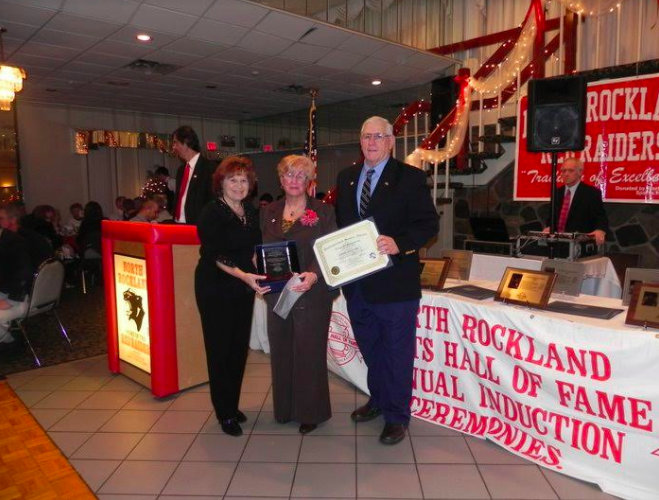 This Saturday night, 6:30 p.m. at Patriot Hills Club the North Rockland Sports Hall of Fame will induct Rich Pesci, 1969-72 North Rockland football player and wrestler, Andrew Pappalardo, All-State Football Player at NRHS and Temple University lineman, Desiree Hobbs, all-around athlete at NRHS, Darren Luzon, Dave Dominguez, Cedric Dawkins, The 1993 NYS Championship Football Team, Coach R.E. Murphy, and honorary mMembers-Owen Feeney and Joe Bernardo. Tickets are not for sale at the door.